 T-shirts  Bunny Man, SwampMan, Zombie Cows! 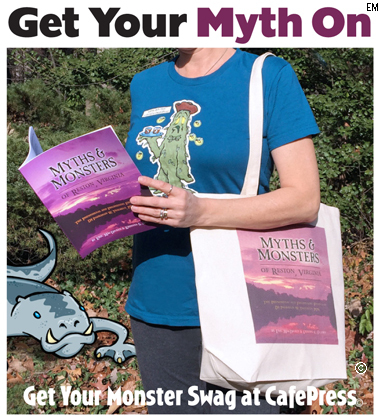 And if your favorite Myth or Monster from the book isn't there, visit our Facebook page, Like Us, and let us know which character on what item you'd just love to have. If we receive enough requests for that item we'll do our best to make it available!